Applications will be accepted on a rolling basis until April 22, 2019. ASU and UA students are eligible to apply! For the 2019-20 academic year, UA Sky School will be offering several opportunities for instructor positions. 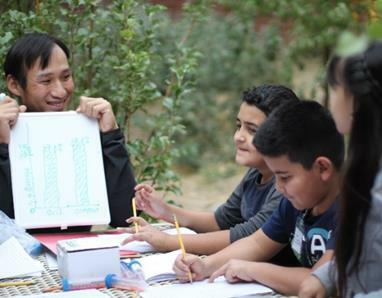 The fellowships are designed to connect UA graduate students with K-12 students as research mentors and educators during residential or daytime educational programs. The fellowship is a unique opportunity to gain experience with science education and communication. Sky School staff will provide training for effective mentoring of students. 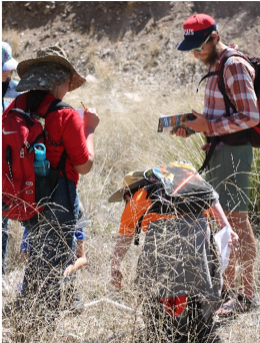 Instructors will mentor groups of K-12 students on 1-4 day programs throughout the year at our Mt Lemmon campus and other field sites in the Santa Catalina Mountains, or at local schoolyards in Tucson. Programs include instruction on general themes relevant to sciences in the sky island region—ecology, geology, hydrology, dendrochronology, soil science, astronomy, culture, and history—as well as opportunities for students to conduct inquiry projects on topics of their choice. 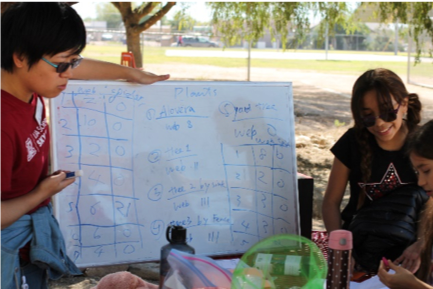 Sky School staff will provide feedback to instructors on improving their facilitation and teaching skills. A variety of time commitments are available ranging from 10-20+ program days per year. Summit programs are from 1 to 4 days in length, occurring varying days Monday through Saturday, and concentrated between Sept.–Nov. and March–May. City programs are on Mondays and Fridays before 1 pm, in the months of October-March. 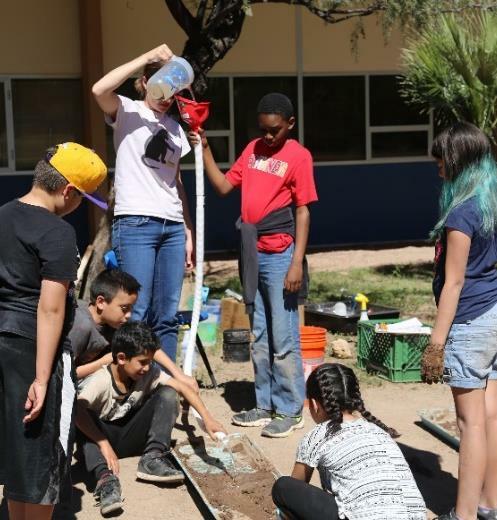 Instructors are provided a cash award (stipend) for all Sky School activities (Summit and City inquiry programs, science teacher professional development, staff training, open houses, special outreach events, etc.). Commitments available from 10 to 20+ days per year and stipends of up to $4500/year. These awards are considered financial aid by the institution, though they are not need-based. You are advised to contact the graduate college or a financial aid advisor if you have specific questions as to how a Sky School award may affect your overall account. Stipends amounts are based on a tiered system of time commitment to programs and are awarded by semester. Applications will be primarily evaluated for the ability to communicate with and relate to participants. Also important is the ability to explain your own research to young people, from elementary to high school ages. A research connection to resources unique to Mount Lemmon or the Sonoran Desert is helpful, but not necessary. Applicants in non-science majors are welcome if they can show significant experience with scientific inquiry and/or engineering design. 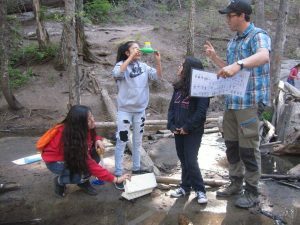 Experience teaching or mentoring youth as well as experience in the outdoors are helpful, but not required. Instructors will ideally represent diverse backgrounds and research areas. Applicants early in their graduate programs are especially encouraged to apply to facilitate holding a multi-year fellowship with the Sky School. Please email application materials to uaskyschool@gmail.com. Interviews and hiring will be ongoing until all positions are filled. Our first staff training will be held in early September 2019 at our Mt. Lemmon campus. Please contact us or any of our current graduate instructors with any questions if you are considering applying.